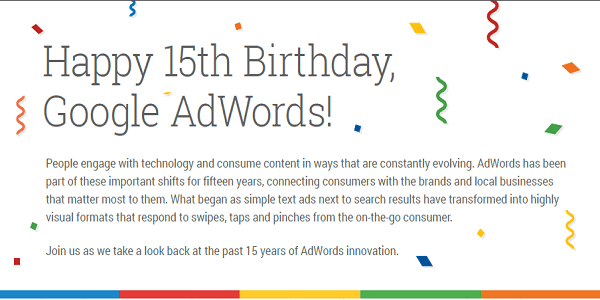 Google officially released AdWords on October 23, 2000. While its birthday was technically last week, Google is celebrating it today with a walk down memory lane and with infographic stats. 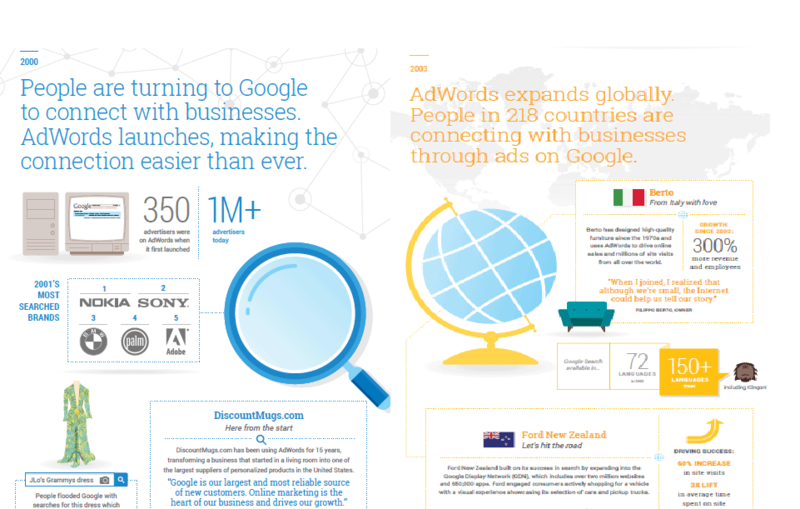 When AdWords first launched, it started with 350 advertisers. It has grown to over a million today. 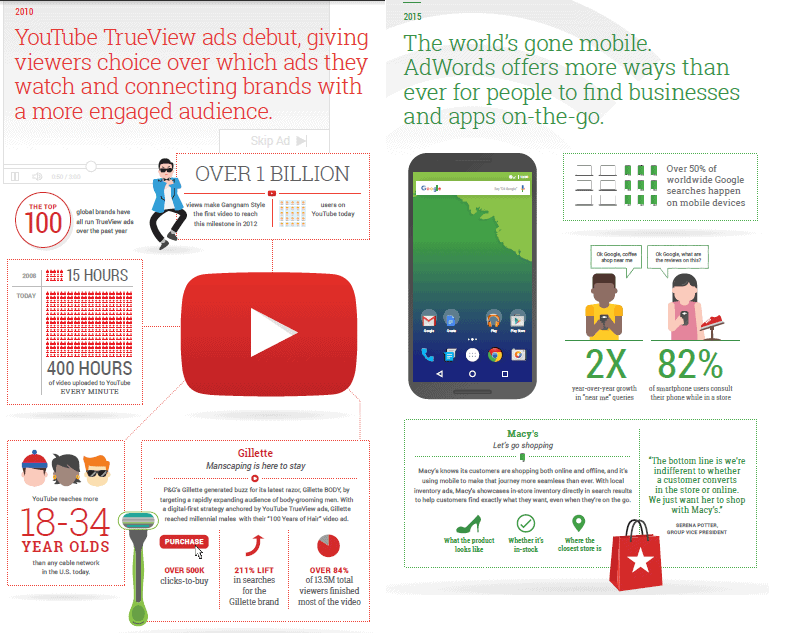 In 2014, Google reported ad revenues totaling more than $62 billion. “In the last 15 years, we’ve witnessed tremendous shifts in consumer behavior and advances in technology. 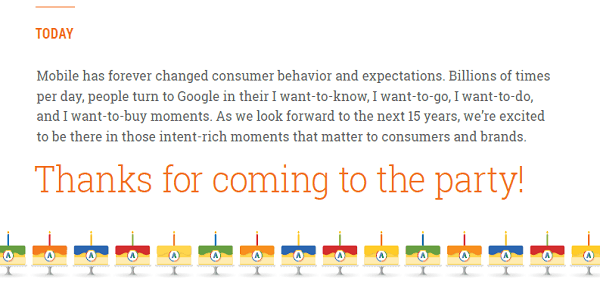 Along the way, Google has innovated to bring consumers more immediate, relevant answers in the moments that matter. AdWords started out as an advertising tool for the desktop world that’s transformed through the years with new formats and capabilities. It’s improved to enable businesses to thrive in a world where the smartphone has become consumers’ constant companion -to provide directions, suggestions for new apps to install, and more.” the company said in a blog post.